This year’s Festival is our most ambitious yet, not only with films, Festival Field Trips, and workshops, but also the Clubhouse featuring fifteen activities designed to invigorate the imaginations of the young and young-at-heart. As you’d expect, we need an unprecedented amount of volunteer help. We invite you to join us for a weekend of fun, creative exploration, and learning! For more information about the Festival itself, please visit the official website here. 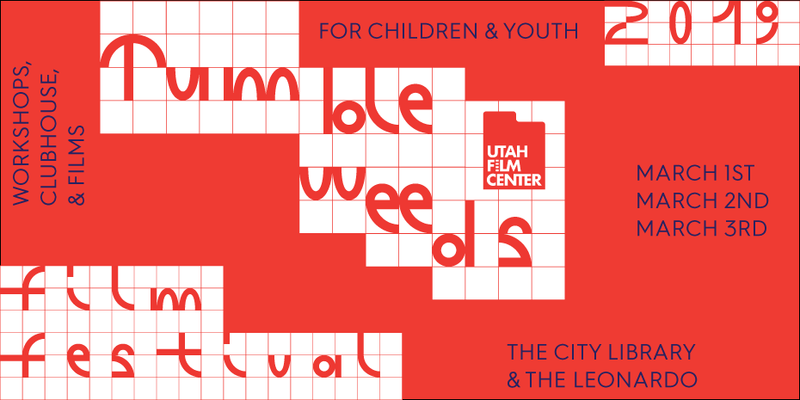 If you have any questions about volunteering at the Festival or about previous volunteer hours which you can apply towards Tumbleweeds benefits, please don’t hesitate to contact us at rroots [at] utahfilmcenter.org.